Lauren Warnecke is a freelance dance writer based in Chicago, IL. She is the dance critic at the Chicago Tribune, and her writing has also appeared in Chicago Magazine, Milwaukee Magazine, See Chicago Dance and Dance Media publications, among others. Lauren also teaches dance theory and exercise science courses at Loyola University Chicago, and holds degrees in dance and kinesiology. Joffrey Ballet's Victoria Jaiani and Temur Suluashvili in "Orphée et Eurydice" with the Lyric Opera of Chicago. Photo courtesy "Great Performances." You might say, "You just had to be there," about the Joffrey Ballet's 2017 world premiere of John Neumeier's reimagined Orphée et Eurydice with the Lyric Opera of Chicago. But on January 18, audiences from around the country will have a chance to witness this extraordinary collaboration up close, from the comfort of their living rooms, as PBS stations broadcast Orphée et Eurydice on "Great Performances". Hagerman, here with Kevin Wilson and Liang Fu in Twyla Tharp's In The Upper Room, easily shifts between classical and contemporary roles. Photo by Kenny Johnson, Courtesy Kansas City Ballet. Lilliana Hagerman stepped into the spotlight in 2016, dancing the role of the Sugar Plum Fairy in Kansas City Ballet's Nutcracker during her first season as a full company member. But it's her chameleon-like ability to shift between classical and contemporary roles—such as her featured performances in Matthew Neenan's The Uneven and Stanton Welch's Play last season—which make this dancer so special. Ballet Chicago Studio Company in Balanchine's Square Dance. Ron McKinney Photography, Courtesy Ballet Chicago. 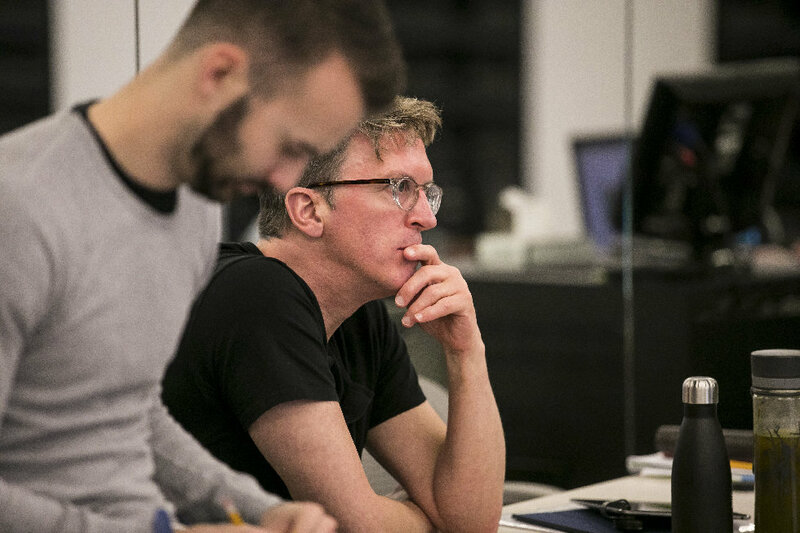 "You'll find people say that we're very demanding, but we're not mean," says Daniel Duell, co-founder of the Ballet Chicago Studio Company, a rigorous, Balanchine-based pre-professional training program located in the heart of downtown Chicago. Duell originally formed Ballet Chicago as a professional company, which disbanded after 11 seasons in 1998. Today, the organization is wholly dedicated to training and is one of the only pre-professional programs in the country entrusted with staging George Balanchine's ballets. In addition to running the Ballet Chicago Studio Company (BCSC) and its affiliated school, former New York City Ballet principal Duell and his wife, Patricia Blair, who danced with Eglevsky Ballet, are répétiteurs for The George Balanchine Trust. The couple's investment in Balanchine's technique and repertoire has afforded Ballet Chicago a unique relationship with the Trust, giving BCSC dancers the opportunity to perform classic ballets like Concerto Barocco, "Rubies," Tarantella and Valse-Fantaisie.